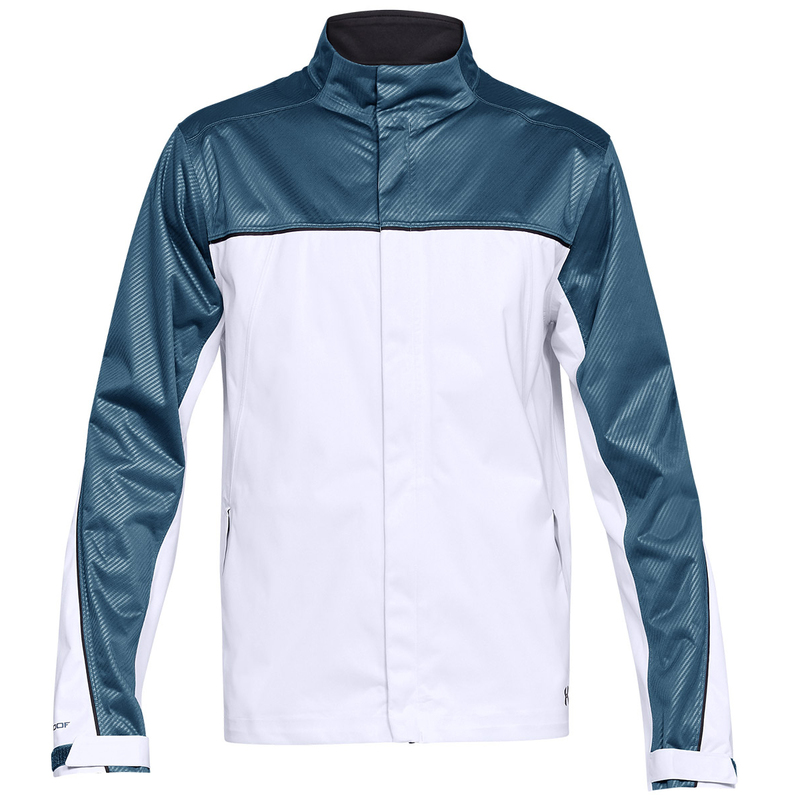 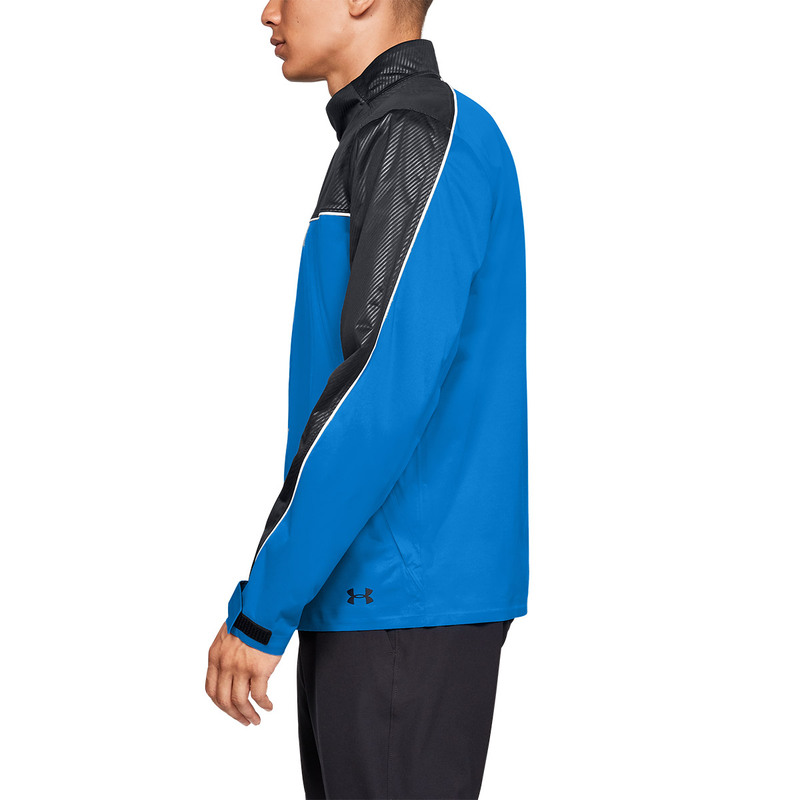 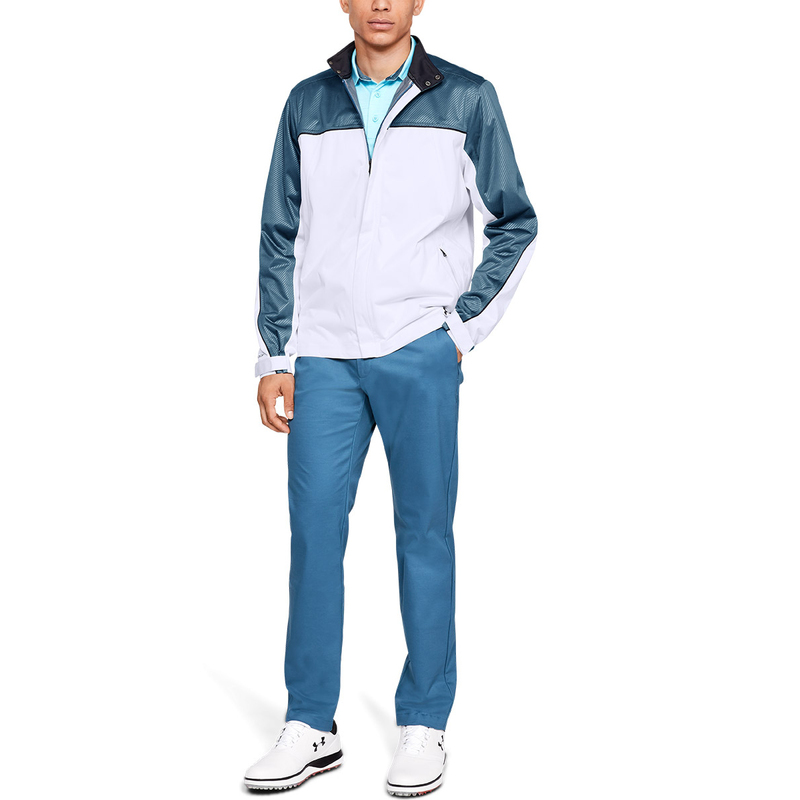 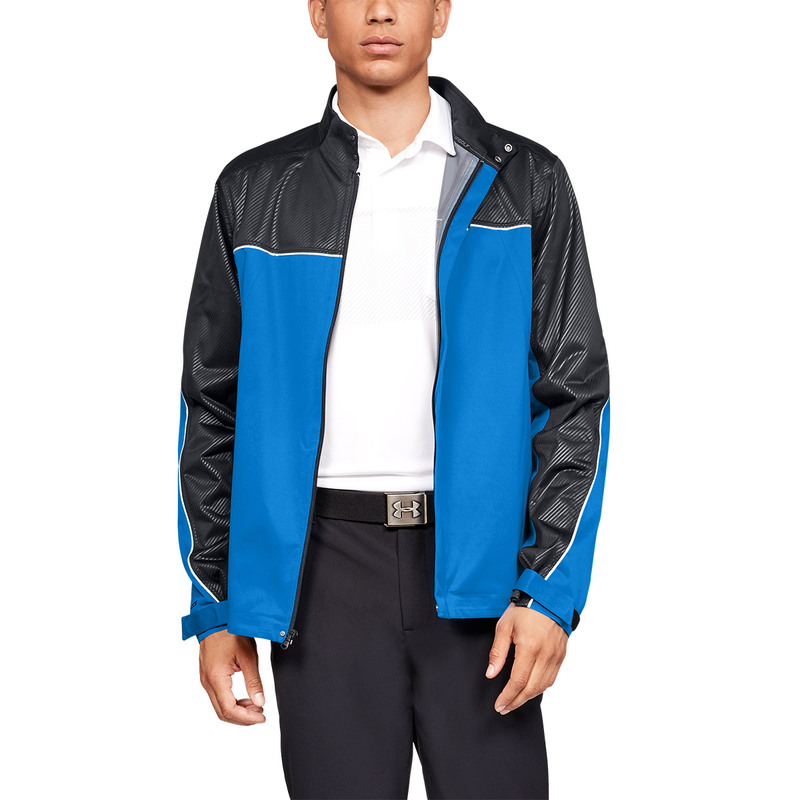 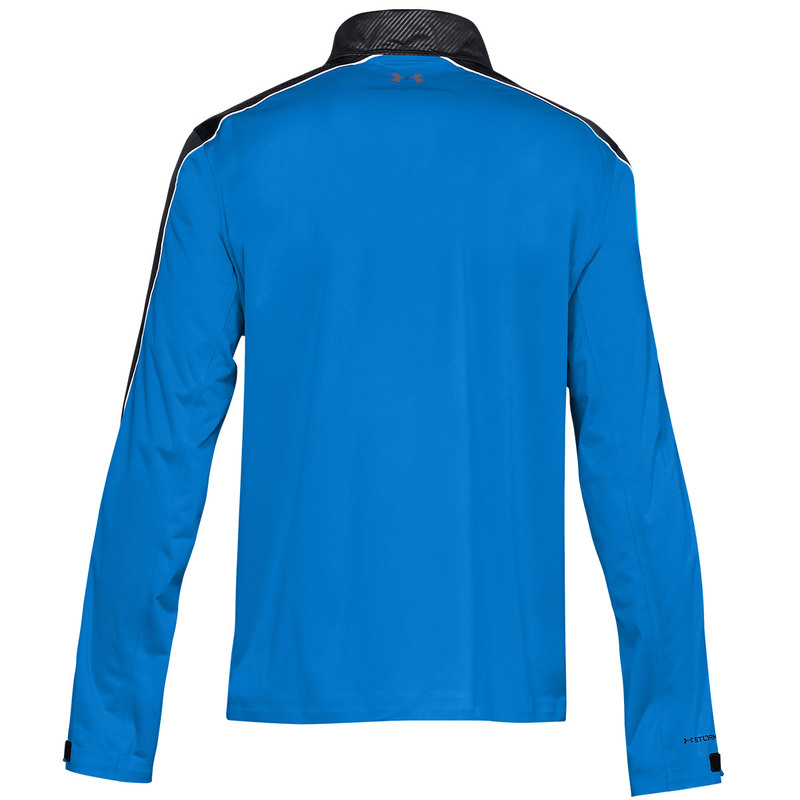 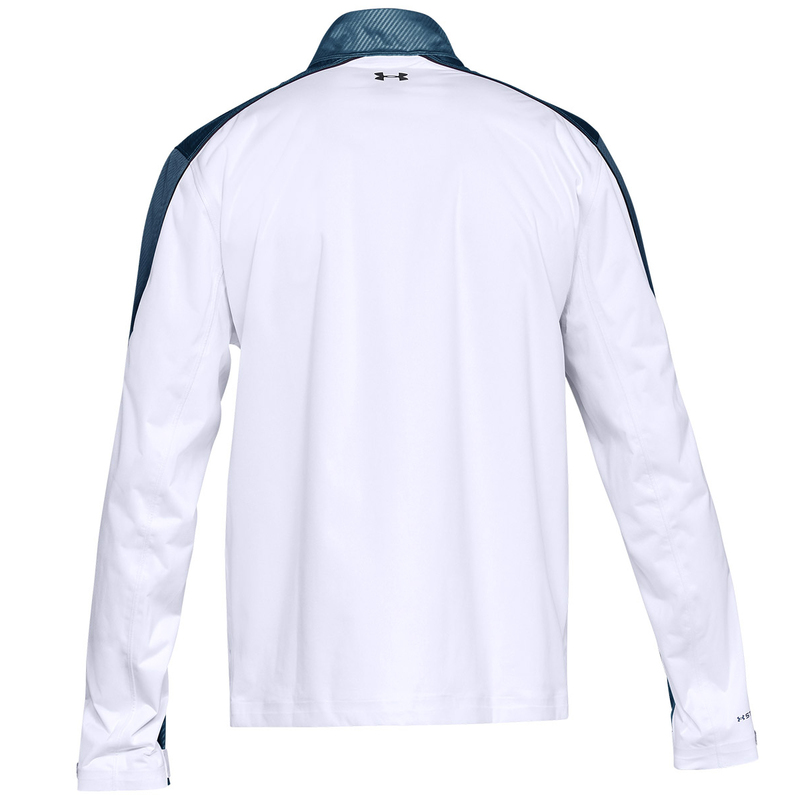 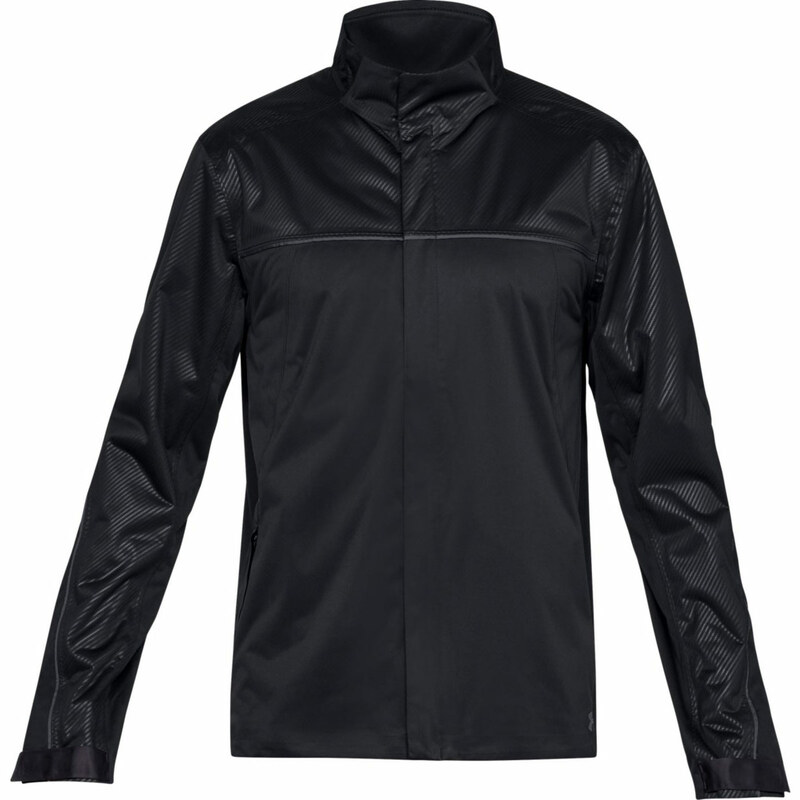 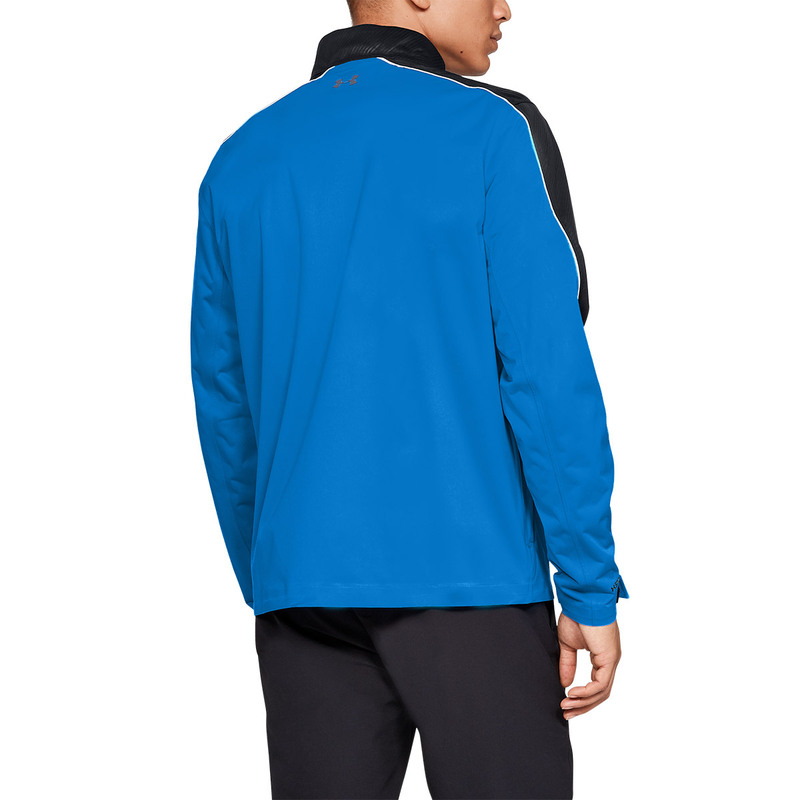 Get to grips with the most horrid weather conditions, with this fully waterproof jacket from Under Armour Golf. 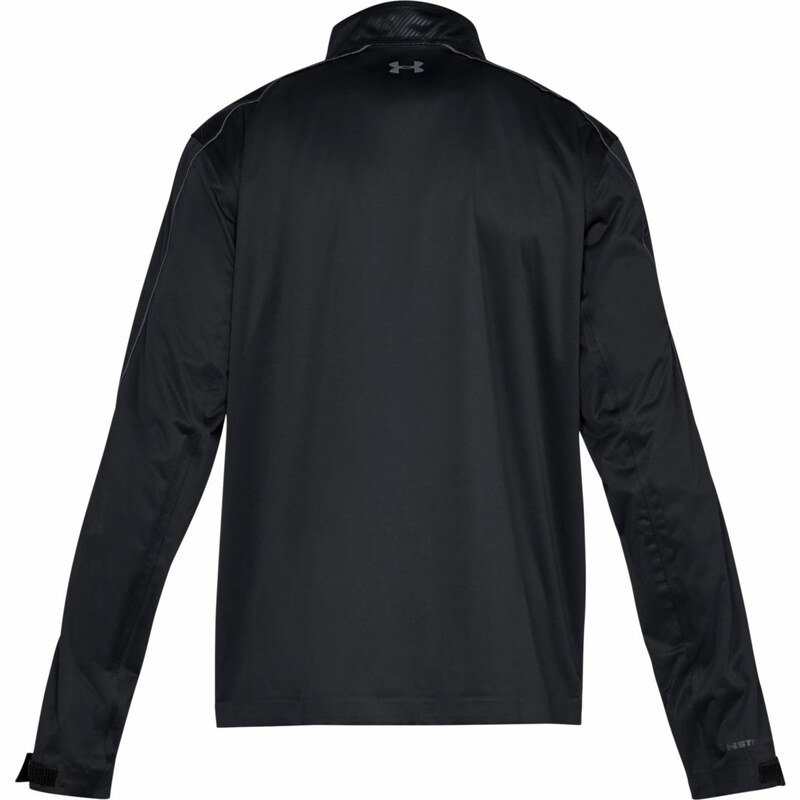 The layer provides 100% waterproof protection, with the added benefit of UA Storm Technology, which repels surface moisture, without sacrificing breathability. 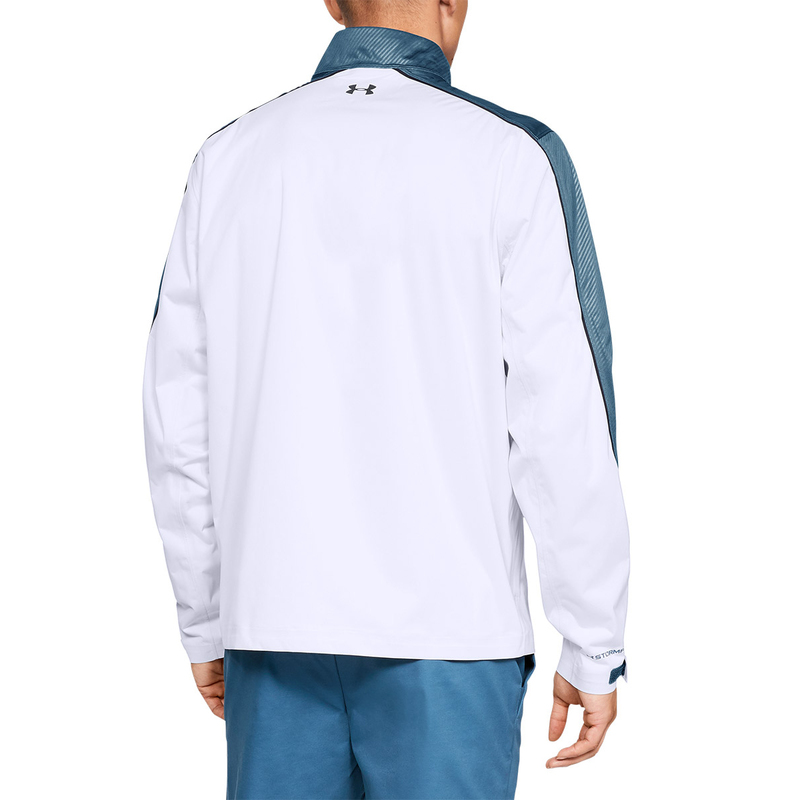 Front and back ventilation, and a breathable inside lining provides enhanced breathability, to keep you comfortable as you push your limits of performance. 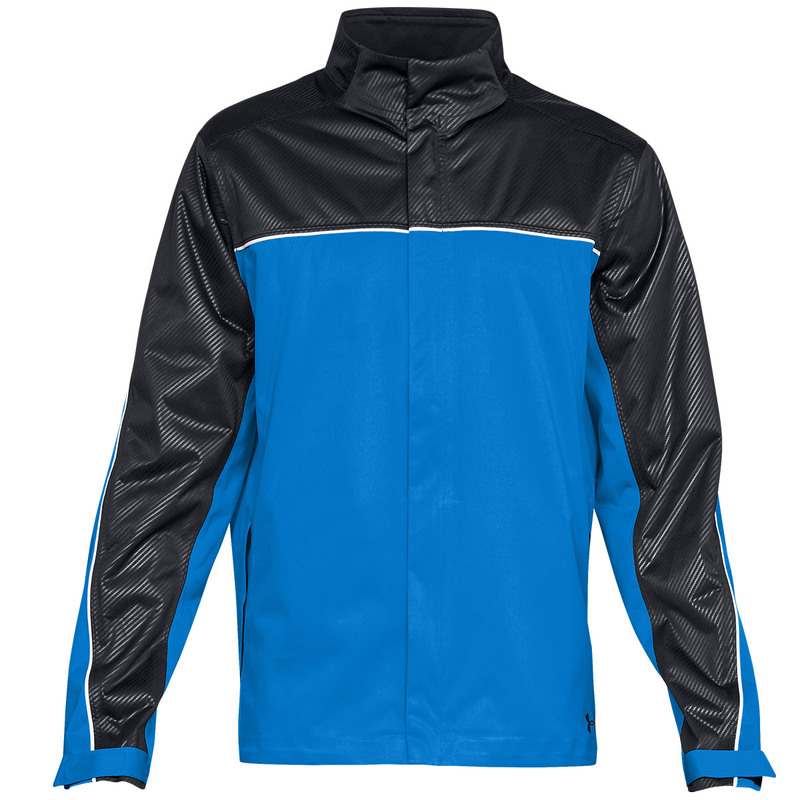 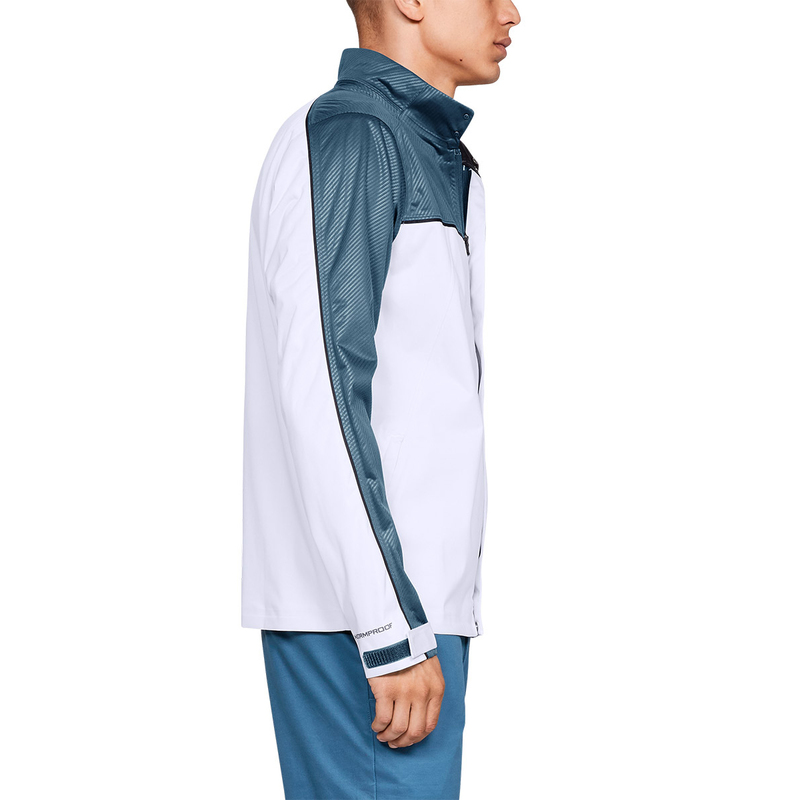 The jacket has a full zip opening, has a zipped pockets, and has cuff and hem adjusters for a more personalised fitting.